PubMed is a database of citations and abstracts for millions of articles from thousands of journals in the areas of general science, chemistry, medicine, nursing, dentistry, veterinary medicine, the health care system, and the preclinical sciences. It includes links to full-text articles at several thousand journal web sites as well as to most of the articles in PubMed Central. PubMed does not have citations for certain types of PubMed Central material, such as book reviews. Note that almost any SpringerLink book in our catalog can be purchased as a "print on demand", grayscale copy for $24.99. This price includes shipping to anywhere within the continental United States. bioRxiv Description of this database. The "Encyclopedia of Life Sciences" (eLS) features more than 5,000 specially commissioned and peer-reviewed articles written by leaders in the field. eLS is updated by approximately 400 articles per year, with new articles publishing on a monthly basis. Coverage includes: Biochemistry, Cell Biology, Developmental Biology, Ecology, Evolution and Diversity of Life, Functional and Comparative Morphology, Genetics and Disease, Genetics and Molecular Biology, Immunology, Microbiology, Neuroscience, Plant Science, Science and Society, Structural Biology, and Virology. Research and methodology articles of special importance and broad interest in any area of biology, as well as commissioned reviews, opinion pieces, comment and Q&As on topics of special or topical interest. Reviews significant developments in the field of Entomology, including Biochemistry and Physiology, Morphology and development, Behavior and Neuroscience, Ecology, Agricultural Entomology and Pest Management, Biological Control, Forest Entomology, Acarines and other Arthropods, Medical and Veterinary Entomology, Pathology, Vectors of Plant Disease, Genetics, Genomics, and Systematics, Evolution, and Biogeography. Plant–Environment Interactions Across Multiple Scales, Plant Biodiversity and Population Dynamics, Assembly of Plant Communities, Plant Pollination and Dispersal, Plant Phenotypic Expression in Variable Environments, Evolutionary Ecology of Chemically Mediated Plant-Insect Interactions, Plant-Microbe Interactions, Patterns and Controls of Terrestrial Primary Production in a Changing World, Ecology of Tropical Rain Forests, Ecology of Temperate Forests, Plants in Deserts, Plants in Alpine Environments, Plants in Arctic Environments, Grassland Ecology, Coastal Wetland Ecology and Challenges for Environmental Management, Near-Coastal Seagrass Ecosystems, Ecology of Marine Phytoplankton, Plants in Changing Environmental Conditions of the Anthropocene, Plant Influences on Atmospheric Chemistry, Biofuel Development from Cellulosic Sources, and Plant Ecology and Sustainability Science. A comprehensive, integrated Treatise on Life in Oceans and Coastal Waters published by Wiley & Sons from 1970 to 1984, this series is the first attempt in history to summarize and evaluate all essential information, available at the time of publication, on life in oceans and coastal waters. Environmental Factors: light, temperature, salinity, etc. Concise and readable reviews, opinions and letters in all areas of ecology and evolutionary science. [Articles] relating to the ecology of all taxa, in any biome and geographic area...exploring or testing clearly stated hypotheses. Publishes complex, multi-faceted studies that demand greater length than those published in Ecology or Ecological Applications. These are not merely long papers, but must tell a truly complicated scientific story with multiple components. Research and synthesis papers on all aspects of ecology, with particular emphasis on papers that develop new concepts in ecology, that test ecological theory, or that lead to an increased appreciation for the diversity of ecological phenomena. Peer-reviewed, synthetic review articles on all aspects of ecology, the environment, and related disciplines, as well as short, high-impact research communications of broad interdisciplinary appeal. Articles relating to historical, spatial, ecological and applied biogeography topics such as ecological and bigeographical responses to global environmental change, comparative ecology and biogeography, community ecology, island biogeography, the ecological basis for conservation, environmental economics and political ecology, ecological applications of remote sensing and GIS. Publishes original research papers on all aspects of the ecology of plants (including algae), in both aquatic and terrestrial ecosystems. 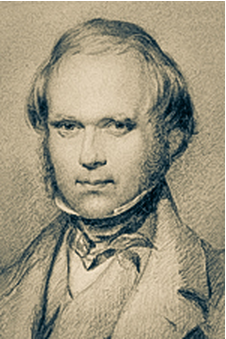 The Charles Darwin Papers in the Manuscripts Department of Cambridge University Library hold nearly the entire extant collection of Darwin’s working scientific papers. Paramount among these documents are Charles Darwin’s Evolution Manuscripts, which are being published online at the Cambridge Digital Library and simultaneously at the Darwin Manuscripts Project in collaboration with the Darwin Correspondence Project. This is a conceptually coherent set of over 30,000 digitised and edited manuscript pages, spanning 1835-1882. None of these documents have hitherto been digitised to the present high standard of full-colour and high-resolution. While several documents are classics of the Darwin manuscripts corpus, many have never been transcribed and edited before and many that have been published previously are presented here in new and radically improved editions. These documents are organised into two parts, which will be released in two instalments: Creation of the Origin (November 2014) and Darwin’s Evidence (June 2015). The volume reveals, in chronological order, 150 years of evolutionary biology. Each selection is preceded by a short essay that explains its significance. The papers represent hallmark publications by seminal thinkers in the field such as Charlesworth, Dobzhansky, Ehrlich and Raven, Gould and Lewontin, Hamilton, Hardy, Hillis, Margulis, Maynard Smith, Mayr, MacArthur and Wilson, McClintock, Simpson, Trivers, Watson and Crick, West-Eberhard, and Wright. Subjects include natural selection, adaptation, and complex design, as well as mutation, chromosome speciation, and pseudogenes. Articles focusing on the study of organic evolution and the integration of the various fields of science concerned with evolution. Contributions to the theory, principles, and methods of systematics as well as phylogeny, evolution, morphology, biogeography, paleontology, genetics, and the classification of all living things. Areas covered include, but are not limited to: sequence analysis; bioinformatics; insights into molecular, cellular and organismal biology; functional genomics; epigenomics; population genomics; proteomics; comparative biology and evolution; systems and network biology; genomics of disease; and clinical genomics. All content is open access immediately on publication. Publishes research at the interface of molecular (including genomics) and evolutionary biology. Covers significant developments in the fields of Ecology, Evolutionary Biology, and Systematics, as they apply to all life on Earth. DNA Repair and Recombination in Plants, Small RNAs in Plants, Plant Translational Machinery, Chloroplast Signaling in Plants, ER Stress Signaling in Plants, Auxin Signaling in Plants, Cytokinin Signaling in Plants, Brassinosteroid Signaling in Plants, COP9 Signalosome Network, Plant Circadian Network and the Drought Stress Signaling Network. With the help of the world’s best wildlife filmmakers and photographers, conservationists and scientists, we are creating an awe-inspiring record of life on Earth [using photos and videos]. ARKive is a not-for-profit initiative of the charity Wildscreen providing images and video that is freely accessible to everyone and preserved for the benefit of future generations. For specific information about reuse of Wikimedia images, see: Reusing content outside Wikimedia. Many Flickr users have chosen to offer their work under a Creative Commons license, and you can browse or search through content under each type of license. Be sure to select the "usage rights" (e.g. free to use or share, even commercially) before performing your search.